Your teeth are remarkably durable. In fact, they are made of the strongest substance in your entire body. Unfortunately, this doesn’t mean they are invincible. When a tooth suffers damage beyond what a dental filling can repair, a crown is needed. Dental crowns are an excellent general dentistry treatment for teeth that have been extensively damaged by decay or trauma. At Town Center Dental of LaGrange, we provide beautiful custom dental crowns that look natural and last for years to come. When choosing our modern dental practice for your dental crown, you can expect a rewarding experience from beginning to end. Our office offers relaxing amenities for your entire family and our treatment rooms are equipped with the latest technology in dentistry. 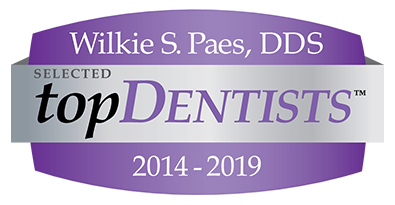 Dr. Paes is a talented dentist that values a patient-centered approach to your dental care. A dental crown is a proven method for restoring a tooth from moderate to severe damage. It is considered a tooth “cap” that encases all visible surfaces of the affected tooth. Town Center Dental of LaGrange uses high quality porcelain material to fabricate your dental crown. You can expect your tooth restoration to blend flawlessly with your existing teeth, as it can be customized in color, shape and size. Dr. Paes uses crowns as a way to restore teeth damaged from trauma, disease or decay. It is also common to place a crown after a root canal or as a dental implant restoration. There are times when a damaged tooth needs more than a dental filling but still has enough healthy tooth structure to avoid a crown. When this occurs on the back teeth (molars), a dental inlay or onlay may be suggested. These are effective treatments to extend the life of a damaged tooth. An inlay works to fill the inside cusps of the molar, while an onlay extends its coverage over the cusps of the tooth. Dr. Paes uses careful techniques to place inlays, onlays and crowns with optimal precision and comfort. We also take measures to preserve as much healthy tooth structure as possible when restoring teeth. To learn more about top quality damaged tooth repair in Lagrangeville and the surrounding areas, please contact our office today. Town Center Dental of LaGrange has a reputation for exceptional service and affordable care!